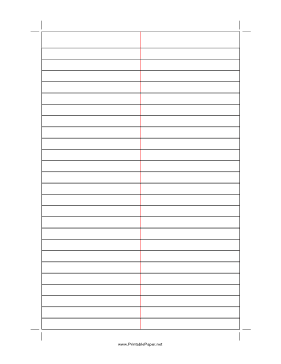 Gregg-ruled shorthand paper with 11/32 inch line spacing and a red rule down the center. Perfect for note-taking. We have the same paper with blue lines, too.